I don't think I know anyone as forgetful as me. Sometimes I make myself a cup of tea and forget to drink it. Then I heat it up in the microwave and discover it three days later when I'm heating up another cup of tea. I now live in an apartment on the fifth floor with no lift (the perks of Paris living), so really, the thought of forgetting to turn the iron off or leaving the chicken curry cooking on the stove (not unknown to happen before) strikes my heart with fear. As long a I can remember (haha, I contradict myself), I've always been forgetful. My mum used to despair at my forgetfulness and prescribed fish roe to boost my memory. I love fish and fish roe but my memory over the years never improved in the least bit. When Anais was a baby, I called for an appointment with the paediatrician. I was asked to give her date of birth. When I struggled with it, the receptionist asked "How many children do you have?" I wanted to lie and said eight, but being much much too young (and still am...) to have had eight children, I couldn't have passed it off. For someone who works in a pediatrician's clinic, you'd think she would know that pregnancy causes memory loss. And that it continues even until after childbirth. But my friends, I digress. 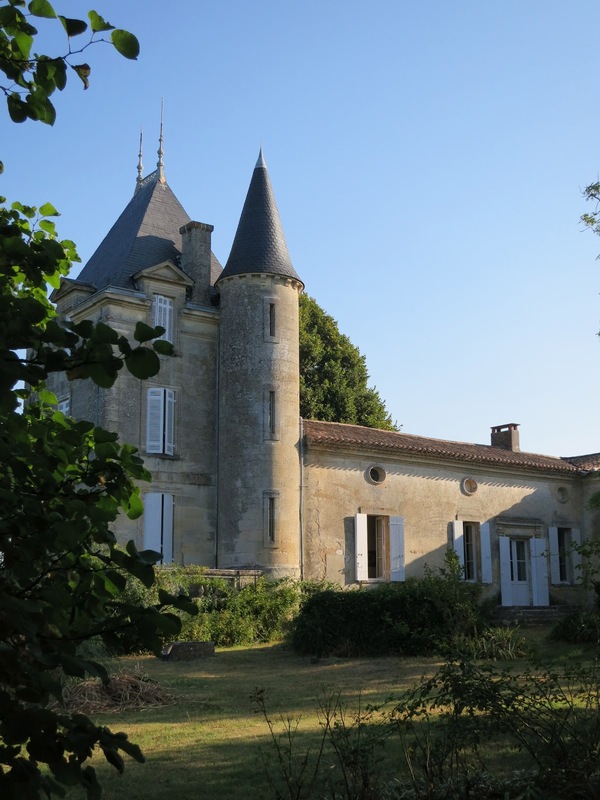 The other day I thought I remembered having taken some nice photos of our short stay at my father-in law's-house in St Gervais near Bordeaux. And I thought I had downloaded them all on the computer. But no, I had forgotten. This I can attribute to jetlag, which is now recognised as a clinical condition. So a little bit delayed, but nevertheless, here are some photos from when we first arrived. Always a sight for sore eyes, this house. 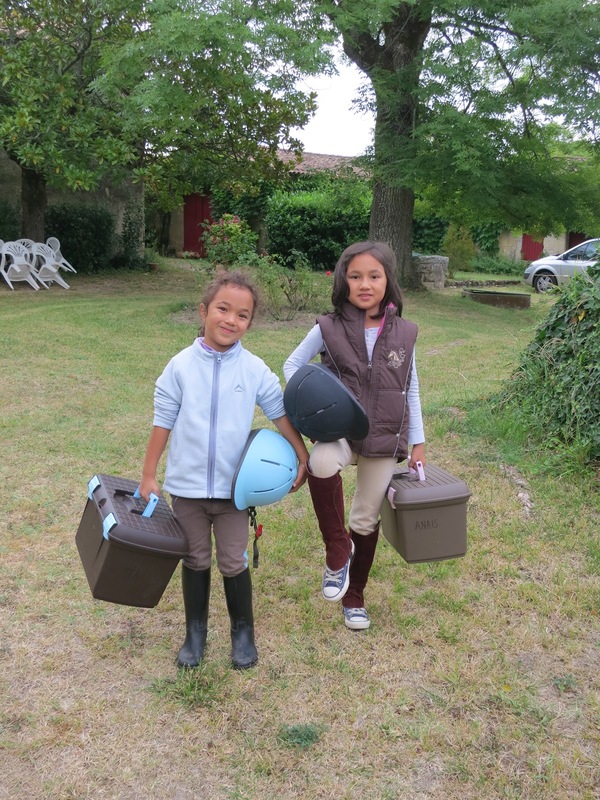 Pony riding is the main activity for the girls in St Gervais. Although I haven't forgotten how to ride a bicycle, it gets very foggy up there on a lot of things. 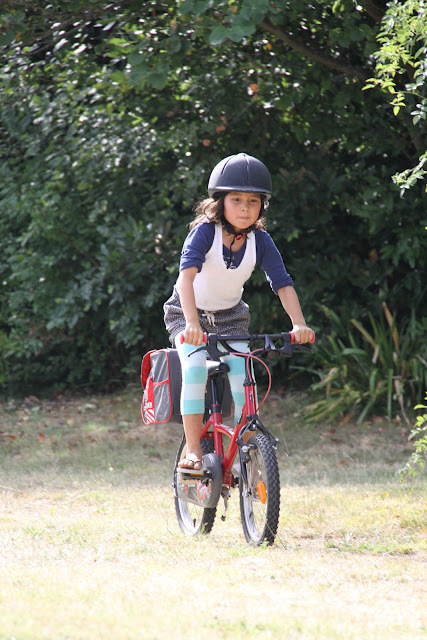 Tea is not yet so at ease on the bicycle but if there is a Tour de France via cartwheels, she is ready. 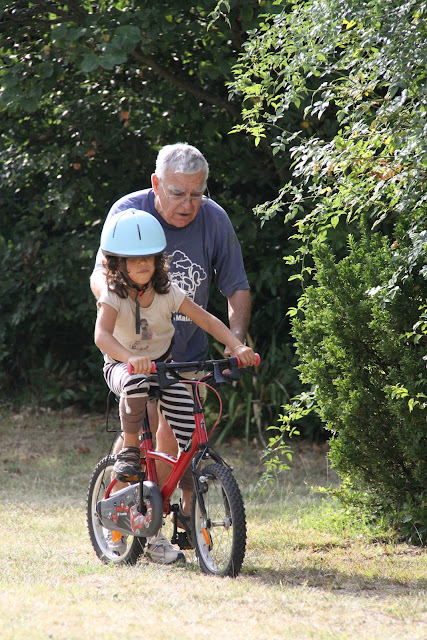 Grandpere is the one who teaches the kids to ride. These people seem to have forgotten that at their age (or at any age in my case), performing cartwheels is no easy feat. Fish and fish roe aside, there does seem to be a consensus that the kitchen is a great place to start boosting your memory. Here are some other suggestions. And a prune tart to finish off the evening on a sweet note as the sun sets over us. Well, that's done. Excuse me while I go put my feet up and do some memory and brainpower boosting Sudoku and snack on some almonds.